Probating a will in New York. So somebody you know has passed away, leaving behind a will and assets in New York. You may need to begin the court probate process to have an executor legally appointed to collect assets, settle the final debts and taxes and eventually distribute the remaining money to the heirs and beneficiaries. Here’s a few helpful tips before you get started. Number one, order lots of death certificates from the funeral home. Usually 5 to 10 at a minimum. It’s much easier to get them from the funeral home than it is to get them from The Department of Health and Hygiene later. Next, start sorting out the family tree. Who are the closest surviving family members and are any of them minors or under any sort of disability? 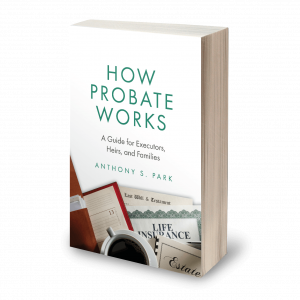 Lastly, make sure there are actually assets that have to go through probate, because if everything had beneficiaries or joint owners, you may not have to do probate at all. Who is Executor if There’s No Will?